Small Business Blog Tip #7: Build your TEAM! Use LinkedIn to find consultants, contractors, employees! Last week I told you about adding lots of “pre-selling” type of content to your website. This helps you gain the loyalty and trust of prospects and helps them want to do business with you. If you need help getting started on this, email me and we can discuss a plan for your business at no cost to you! 1. 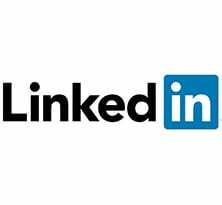 LinkedIn is a website I have mentioned in a previous tip (you ARE a member of LinkedIn aren’t you??) to allow you to manage and make contacts… but the flipside is that it is an invaluable way to find the experts you need… and you can find them in your hometown, or anywhere in the World! So just go into LinkedIn and search for what you are looking for… when you find someone that can help, send a request to become their “friend” and let them know what you need help with. 2. Twitter just so happens to be a great way to find the experts you need also… you can search on the areas of expertise you are looking for and chances are you can find an expert. This works best if you are not concerned about the geographic location of the team member you are seeking. 3. Google for a discussion board or BLOG related to the expertise you are looking for… this allows you to “see them in action” and determine if they are the right fit for what you need even before you contact them.